All through the later middle ages, Northern Italy was still divided into lots of small independent city-states. The most important city-states were Milan, Florence, Genoa, Pisa, Siena, and Venice. But the Holy Roman Emperors often attacked these city-states and tried to take them over. The Italians who wanted to stay independent were the Guelfs, and the Italians who wanted to be part of the Holy Roman Empire were the Ghibellines (GIBB-uh-leens). In Central Italy, the Popes also kept on ruling. But there was a lot of fighting between different candidates for Pope. Often there were two popes at the same time. (Then you call one of them the anti-pope.) The kings and queens of the Holy Roman Empire, France, and Hungary supported first one Pope, then another. In southern Italy, the descendants of the Norman kings were also struggling for independence from the Holy Roman Emperors (that is, basically from Germany). In 1194, right after the Third Crusade, the Holy Roman Emperor Henry VI took control of southern Italy. 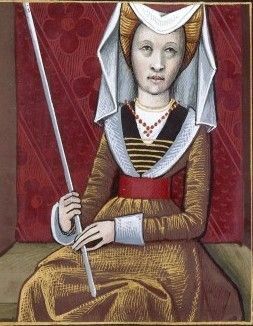 After Henry died, his widow Constance ruled Sicily as regent for their son Frederick II. When Constance died four years later, the Pope took over as regent. But once Frederick grew up, he ruled Italy and Sicily himself. He liked Italy and Sicily a lot more than Germany, and mostly he left Germany on its own. Frederick was an educated man who spoke German, Italian, French, Latin, Greek, and Arabic. He started the University of Naples in 1224 AD as the first public university. Frederick paid the professors’ salaries himself, instead of the Church paying them. Thomas Aquinas studied there soon after it opened. Frederick hired Jewish scholars to translate medical and scientific books like those of ibn Rushd from Arabic to Latin. He himself wrote a book about falconry. What were medieval universities like? Why was Ibn Rushd important? Frederick II even started a zoo in Naples. The zoo had an elephant, giraffes, cheetahs, and leopards. Later, Frederick sent some zoo animals to England as a gift. Henry III of England kept the animals in the Tower of London. What’s the Tower of London? In general, Frederick didn’t get along with the Pope, who didn’t like being sandwiched in between Friedrich’s German and Italian land. The Pope excommunicated Frederick II four times, once while he was leading the Sixth Crusade. 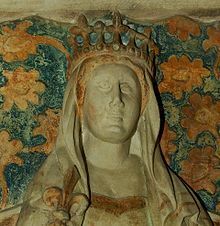 But Blanche of Castile used French power to support Frederick II. 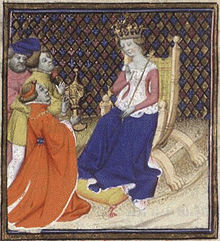 Who was Blanche of Castile? The Hafsids in Tunis paid a lot of money to Frederick II to stop his attacks. Frederick II also made a lot of money selling Sicilian wheat and barley to the Hafsids, and generally encouraging trade with Tunis. But he died at 56 of dysentery, in 1250 AD, two years before Blanche. After Frederick II died, the Pope and the Holy Roman Emperors fought about who would rule southern Italy. 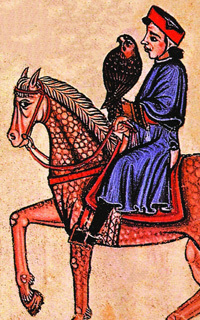 In the 1260s, Charles of Anjou conquered southern Italy and Sicily. 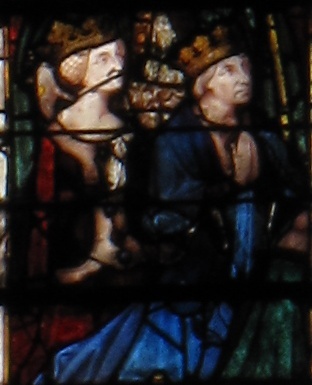 Charles was Blanche of Castile‘s youngest son, Louis IX’s youngest brother. 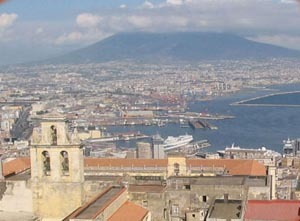 Charles moved the capital of the Kingdom of Naples from Palermo in Sicily to Naples, on the Italian mainland. He ruled Provence in southern France through his marriage, but he wanted more. Once he conquered southern Italy and Sicily, Charles worked to get as much money as he could out of both Provence and Italy (and from the Hafsids), but he didn’t worry much about building roads or universities. The Eighth Crusade, led by Charles and his brother Louis of France, was mostly Charles’ idea, as a way to get more money from the Hafsids. Louis died on that crusade, but Charles came home okay. Before he died in 1285, Charles lost Sicily to the Spanish rulers of Aragon, though he kept Naples. Charles left Naples to his son, Charles II, who actually lived in Naples and made the city richer again (and met Dante). Charles II died in turn in 1309, and left Naples to his son Robert the Wise. Robert gradually increased his power so that by 1317 he controlled all of Italy. When the Holy Roman Emperors tried to come down to Italy, he would force them back up into Germany. In 1343, when Robert the Wise died, he left power to his fifteen-year-old granddaughter Joanna. (She was a descendant of Blanche of Castile and Eleanor of Aquitaine.) Northern Italy immediately broke away and became independent. Joanna let it go, and only tried to control Naples. Joanna’s husband Andrew was the son of the feminist Elizabeth of Poland. But when Joanna took power for herself, he complained to his mother. Elizabeth came to Naples to try to get Andrew into power. But the result was that Andrew was killed. After several more husbands, Joanna finally got control of her kingdom by 1371. Joanna ruled peacefully and well (keeping the university and the zoo going) until 1380, when a group of Hungarians invaded again. They captured and killed Joanna in 1384. Their leader, Charles, ruled Naples until Elizabeth of Hungary killed him two years later. 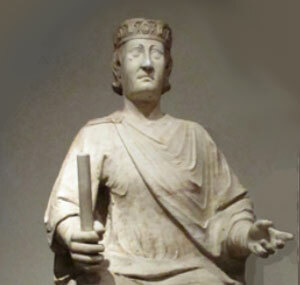 After that, his wife Margaret ruled Naples as regent for their son Ladislaus. When Ladislaus grew up, he took power, and tried to reunite Italy again. But it didn’t work very well. After Ladislaus died childless in 1414, his younger sister Joanna II ruled Naples, with the help of a series of husbands and boyfriends. She killed them when they got out of hand. 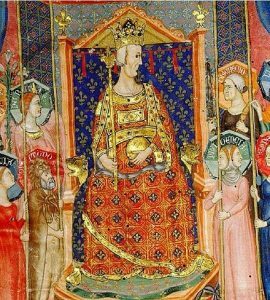 But after 1435, as Joanna II died without children, southern Italy fell on hard times. It came under the control of the kings of Spain. First John of Aragon took over, and then his son Ferdinand of Aragon (of Ferdinand and Isabella). When the Holy Roman Emperors then got control of Spain, they also got control of southern Italy and Sicily. But to Spanish and German rulers, southern Italy, like North Africa under the Hafsids, was just a source of money. They charged everybody such high taxes that Sicily and Southern Italy went from being rich and powerful to being very poor. By 1496, the kings of Sicily and Southern Italy were poor and almost powerless. Ferdinand II, who died in that year when he was only 27, days after his marriage, was infested with lice. Cite this page: Carr, K.E. Late medieval Italy – Guelfs and Ghibellines. Quatr.us Study Guides, August 3, 2017. Web. April 22, 2019.